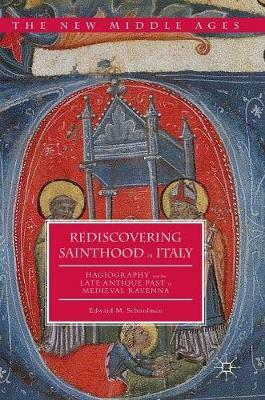 Beginning with Saint Barbatianus, a fifth-century wonderworking monk and confessor to the Empress Galla Placidia, this book focuses on the changes in the religious landscape of Ravenna, a former capital of the Late Roman Empire, through the Middle Ages. During this period, written stories about saints and their relics not only offered guidance and solace but were also used by those living among the ruins of a once great city-particularly its archbishops, monks, and the urban aristocracy-to reflect on its past glory. This practice remained important to the citizens of Ravenna as they came to terms with the city's revival and renewed relevance in the tenth century under Ottonian rule. In using the vita of Barbatianus as a central text, Edward M. Schoolman explores how saints and sanctity were created and ultimately came to influence complex political and social networks, from the Late Roman Empire to the High Middle Ages.